A week after after reports surfaced that Salesforce (s crm) was buying social marketing platform Buddy Media, the customer relationship management software company made the transaction official. Salesforce announced it has made its largest buy ever, paying $689 million for Buddy Media. The deal, which includes $467 million in cash, $184 million in Salesforce common stock, and $38 million in vested options and restricted stock units, is expected to close in the quarter ending on October 31. As we discussed earlier, this deal makes a lot of sense for Salesforce, which is putting together a customer relationship management suite of software that increasingly covers the social media needs of its clients. Combined with its $326 million purchase last year of Radian6, a social listening tool that helps companies gather real-time insights, Salesforce now has a way to engage customers in real-time as well through Buddy Media. The company is the largest social media marketing platform, helping corporate clients maintain their brand pages and presence on platforms such as Facebook and Twitter. It has 1,000 of the world’s largest companies, including eight out of the top ten global advertisers. This is part of a larger transformation of CRM. Salesforce is looking to handle not just traditional duties of managing the sales process, but it’s building a “social marketing cloud” for branding, social media interactions and marketing. With a more robust set of social tools, companies can understand what customers are saying, buy ads and tweak their social campaigns to better interact with their customers. They can also apply all the data they’re gathering through social channels — from customers’ brand preferences, purchase habits and lifetime value — to inform their decisions. This is increasingly an important battleground for enterprise software makers. Oracle (s orcl) bought Vitrue for $300 million last month. Adobe (s adbe) also bought Efficient Frontier earlier this year. Companies increasingly understand the need to go social, but the number of vendors providing social tools, from the actual social networks themselves to the companies handling monitoring, analytics, publishing, aggregation and other services, can be confusing. It’s likely we’ll see a lot more acquisitions and consolidation as more of these tools get rolled up into one package. Whether its by Salesforce, Oracle, IBM (s ibm) or someone else, corporations will want to have their social software needs handled by one provider if possible. 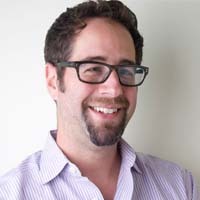 “Ultimately, we believe the Salesforce Marketing Cloud will empower marketers to simplify their lives by consolidating many point solutions and adopting a unified social marketing suite that is fully integrated with the world’s leading cloud sales and customer service products,” wrote Buddy Media founder Michael Lazerow in a blog post. The deal is also a recognition that the IT spend is shifting. Gartner said that by 2017, CMOs will spend more on IT than the CIO. That’s because marketing is becoming more technology driven, using big data to obtain insights. And social media is helping create even more data for marketers to mine. This is also another reminder of the growth of New York as a tech hub. The acquisition is the largest of a New York company in five years since Double Click was bought by Google (s goog) for $3.1 billion. 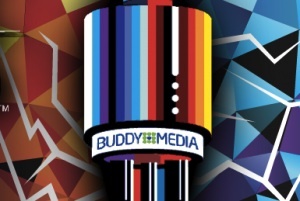 It would have been nice to see Buddy Media continue to grow as an independent company but with the way social media has become an important tool for enterprise software makers, it would have been hard to avoid a big buy out. I like the concept of this purchase. I’ve always respected Salesforce.com for their ability to execute in the early phase of what’s now a critical approach to delivering technology. Building an enterprise class CRM is one thing. Building one and convincing customers to use a shared environment hosted on the Internet is completely different. I like that Salesforce.com brought them opposed to Oracle. Based on their track record they have the skill to marry the two disciplines. Extremely interesting.